The ultimate list of store-bought Whole30 essentials, from on-the-go snacks to condiments to coffee ‘creamers.’ All of these convenient products are Whole30 compliant and ensure that you have a successful (and a bit easier) thirty days! Day 30 of my Whole30 is Friday. It’s been a successful adventure. I lost 10 pounds (I know you’re not supposed to weigh yourself until the last day, but the doctor’s office weighed me during my appointment a few days ago). I slept better. I had more energy. My workouts were on point. My skin was clearer. And those were just a few of the benefits. If you don’t know what the Whole30 is, it’s pretty much as it sounds: eating only whole foods for 30 days, and then slowly reintroducing them one by one to determine how certain food groups can affect you. It resembles the Paleo diet as it completely cuts out dairy, legumes, sugar, grains, and alcohol. It also eliminates processed food and the ‘extra stuff’ you may find in even ‘healthier’ packaged foods. But thankfully, that doesn’t mean that you can’t buy any store-bought ingredients while on the Whole30. 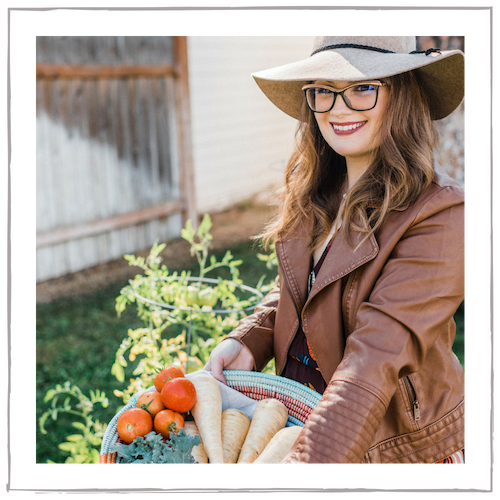 There are plenty of approved products, and I’ve turned them into this list of over 85 store-bought Whole30 essentials to help make your month a bit easier. This is my second Whole30. The first one, last summer, was definitely much more difficult for me. I felt like I spent forever planning, shopping, cooking, and worrying about what I could and couldn’t have. Which is why I wanted to create this list. 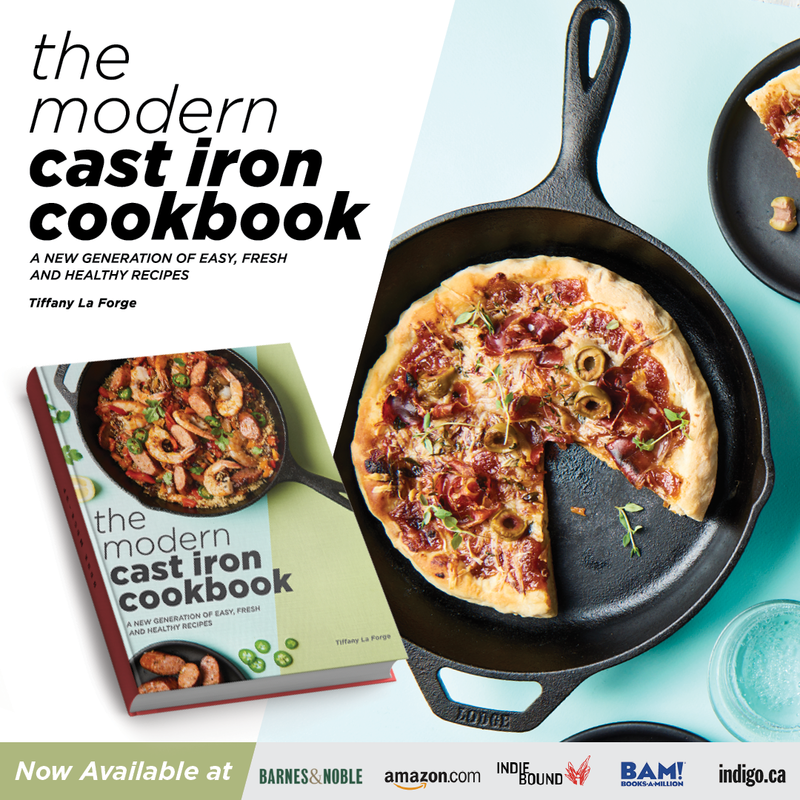 Each product is linked via Amazon, which is a great place to buy your Whole30 essentials. But I also love shopping at VitaCost, Thrive Market, Costco, Barefoot Provisions, Whole Foods, and Trader Joe’s. Many of these products can be found at those places, so no matter where you prefer to shop, it’s fairly easy to find these great store-bought Whole30 essentials. Before starting the Whole30, I took a quick peek at all of the condiments in my fridge. Every single one of them was non-compliant! The organic mayo, the Dijon mustard, all of the dressings, all of my pickles/relish, and the salsa. When it comes to condiments, read your labels carefully. There is almost always sugar hiding in there. Off-limits are soy sauce, sriracha, Worcestershire Sauce, and most ketchups (the one I linked below is compliant). Word of warning: Whole30-compliant condiments are much more expensive than your typical condiments. However, they’re higher quality and almost always taste so much better. Since a condiment is something you use pretty sparingly anyway, all of what I listed below should last you the entire month, except maybe the mayo (especially if you’re making tuna salad like crazy. #guilty). Primal Kitchen Avocado Oil Mayonnaise: Making homemade mayo is encouraged on the Whole30, but if you’re all “ain’t nobody got time for that” like I am right now, this is my absolute favorite store-bought mayo. 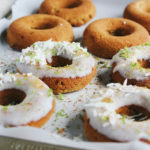 It is delicious and creamy, and there is also a compliant Chipotle Lime version. 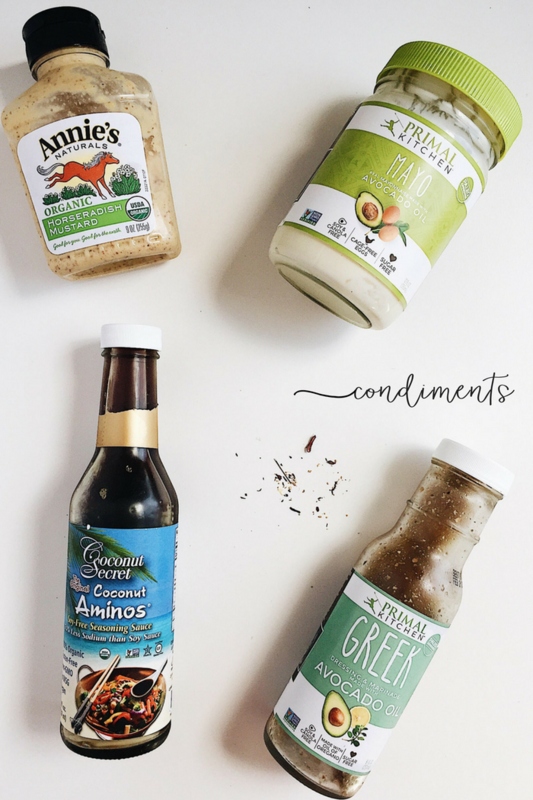 Coconut Secret Organic Coconut Aminos: The best umami substitute for soy sauce. It’s delicious in Asian dishes, in marinades, in fried cauliflower rice, or in homemade burgers. Annie’s Naturals Organic Horseradish Mustard: A tasty mustard with a horseradish kick. I love using this one to accompany roast beef or in savory dressings and marinades. Primal Kitchen Avocado Oil Greek Dressing & Marinade: Great dressing full of spices, herbs, and lemon zest. A nice go-to for dressing a simple dinner salad. Primal Kitchen Whole30 Kit: Nice kit packed with lots of Whole30 goodies. Both the mayos mentioned above are included in addition to the Greek Dressing & Marinade, a Ranch dressing, and extra virgin avocado oil. Tessemae’s All Natural Buffalo Hot Sauce: Delicious compliant buffalo hot sauce from a great brand. Red Boat Vietnamese Extra Virgin Fish Sauce Bottle: Best of the best when it comes to Whole30 compliant fish sauce. No preservatives, MSG, or sugar. Fruitchup Paleo Ketchup: One of the very, very few compliant ketchups out there, this one is sweetened with dates and raisins. Saucy Lips Pineapple Thai All Natural Sauce: This all-purpose sauce is made from fresh pineapple, apple cider vinegar, olive and sesame oil, garlic, sea salt, and spices. You may have to control yourself from putting it on everything. Oregon Brineworks Organic Raw Fermented Classic Sauerkraut: Packed with probiotics and delicious on hot dogs! Bubbies Kosher Dill Relish: Love me some dill relish, and this one from Bubbies is a keeper. Thai Kitchen Green Curry Paste: Check your labels when it comes to curry paste, as most include sugar, corn flour, or soybean oil. This Thai Kitchen Green Curry Paste is compliant. Nut and seed butters are Whole30 saviors. Perfect for apple dippin’, using in sauces, or, you know, eating from a spoon. Raw Barney Butter Almond Butter and Chia: This Barney raw almond butter has double protein power thanks to tasty little chia seeds. 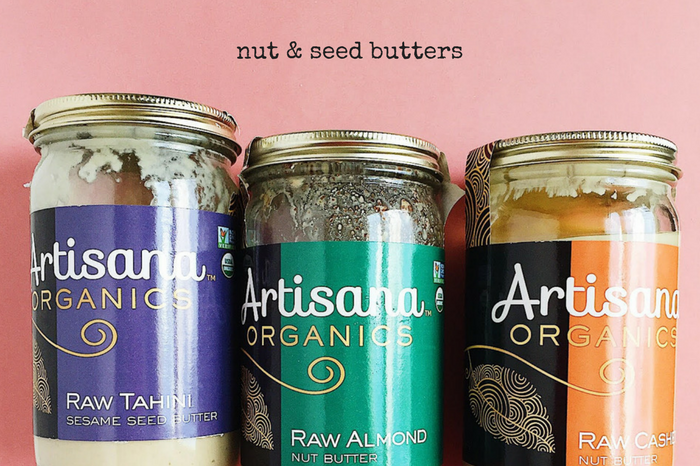 Artisana Organic Raw Cashew Butter: One of my favorite raw cashew butters. Nutrawbar 100% Raw Pistachio and Macadamia Butter Organic Superfood Spread: A tasty nut butter made with just 3 ingredients: pistachios, macadamias, and vanilla bean. Dastony Sprouted Pumpkin Seed Butter: This brand makes all kind of seed butters for anyone with nut allergies, including pumpkin, watermelon, and hemp seed butters. Artisana Organics Raw Tahini: This raw tahini is delicious in dressings, sauces, or to give soups a bit of added creaminess. Don’t think you can live without cream in your coffee? These are some pretty delicious compliant substitutes. 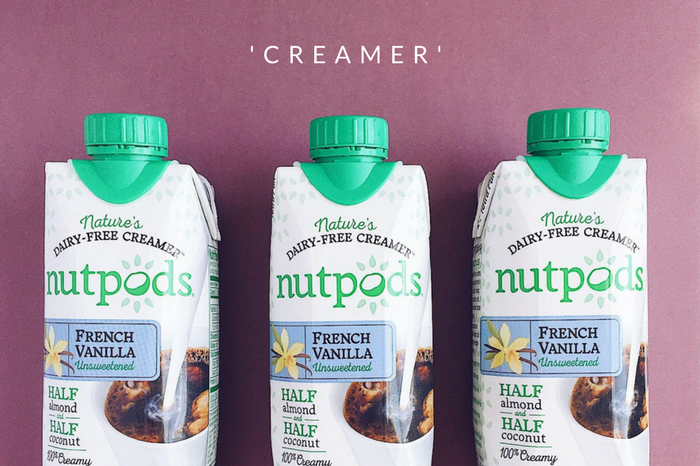 nutpods Dairy Free Coffee Creamer Variety Pack: I love this brand. Get a variety pack to see which one you like the best: Original, French Vanilla, or Hazelnut. They’re all compliant. Wander Life Coconut Creamer: Another compliant creamer with a touch of vanilla bean, this one also contains MCT oil. Coffee Booster: This organic, chocolate-y coffee addition is made with virgin coconut oil, grass-fed ghee, and raw cocao. Almost all vinegar is compliant when it comes to Whole30 with the exception of malt vinegar, which contains gluten. As you can probably tell from above, I’m a big fan of grabbing my vinegar from Trader Joe’s and Whole Foods, as it’s reasonable and convenient. 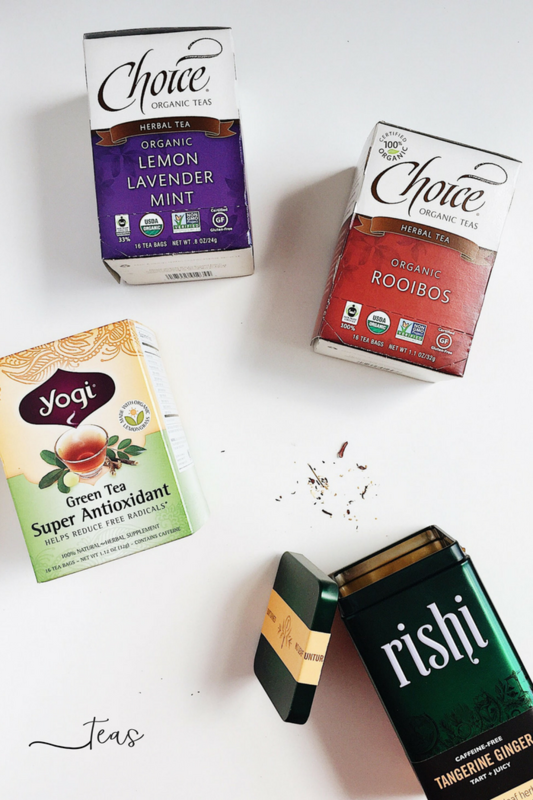 But here are a few other amazing organic brands that are always in my cabinet. Bragg Organic Raw Apple Cider Vinegar: This raw, unfiltered, and organic apple cider vinegar is one of the best there is. Eden Foods Organic Brown Rice Vinegar: Yes, you can still have rice vinegar even though you can’t have rice. Try it in an Asian-inspired dressing. Bionaturae Organic Balsamic Vinegar: This organic balsamic vinegar has no added sulfites. 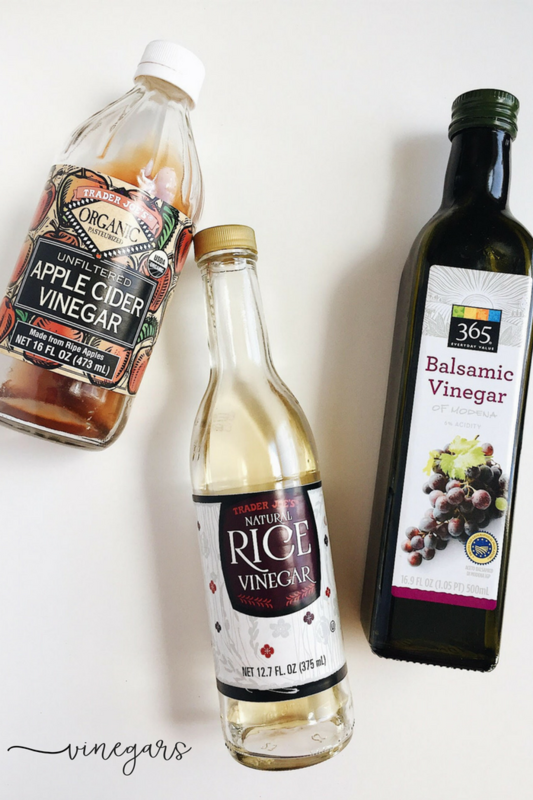 Napa Valley Naturals Organic Red Wine Vinegar: Red wine vinegar is always a great go-to when it comes to a quick, tasty, and versatile dressing. The absolute worst part of the Whole30 is being hungry and on the road, stuck in the office, or at class. You’ll find your vending machine or convenience store options very limited, if there at all. That’s why I love to have plenty of emergency on-the-go snacks stashed in my purse or car. Here are my favorites. 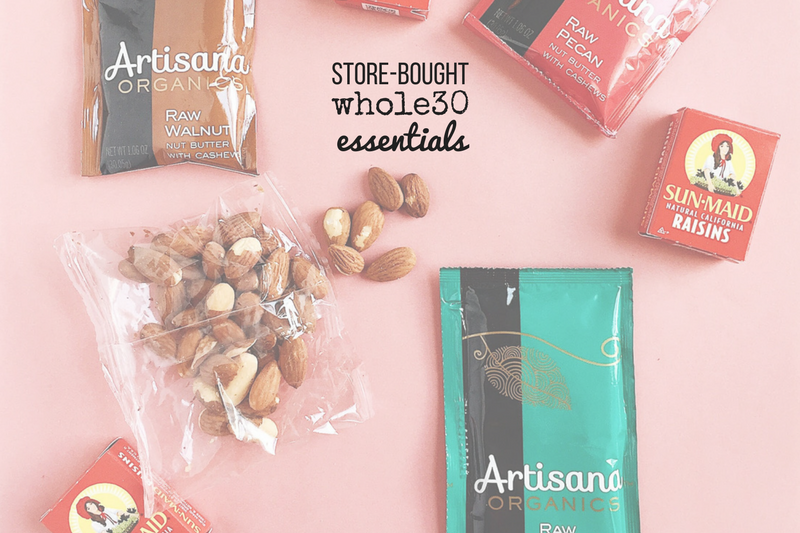 Artisana Organics Nut Butter Packs: Convenient, perfectly portioned nut butter packs, Artisana offers quite the variety including almond butter, walnut butter, pecan butter, and cashew butter. 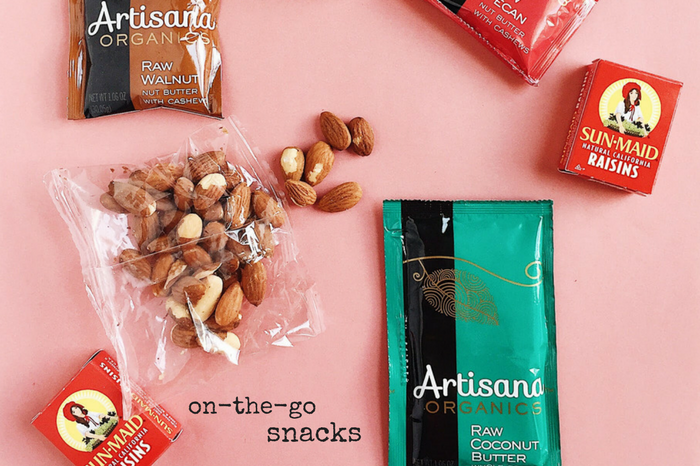 Artisana Organics Coconut Oil and Coconut Butter Packs: Similarly, Artisana offers the same convenient little packs for raw coconut oil and raw coconut butter. Sun-Maid Raisins: Unsweetened, dried fruit is Whole30 compliant. I like to keep Sun-Maid raisins handy. They’re just 100% raisins with no added sugar and 100 calories per box. 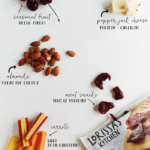 Portioned Nut or Trail Mix Packs: Individually portioned nuts and compliant trail mixes are a great grab-and-go snack, and you can find these fairly easily just about anywhere. I like the Trader Joe’s ‘Just a Handful’ raw almonds. Freeze Dried Strawberries: Freeze dried fruit is delicious and adds a fun crunch to your snacks. Just make sure you’re buying a brand without added sugar, such as Karen’s Naturals (linked above) or Natierra. Bare Natural Apple Chips: These apple chips contain no added sugar and are just made from apples (or apples and cinnamon, if you get the cinnamon version). They’re crunchy, delicious, and a great source of fiber. I love dipping them in almond butter! When it comes to compliant Whole30 cooking and finishing oils, some are better than others. Here are my picks and what to use them with. 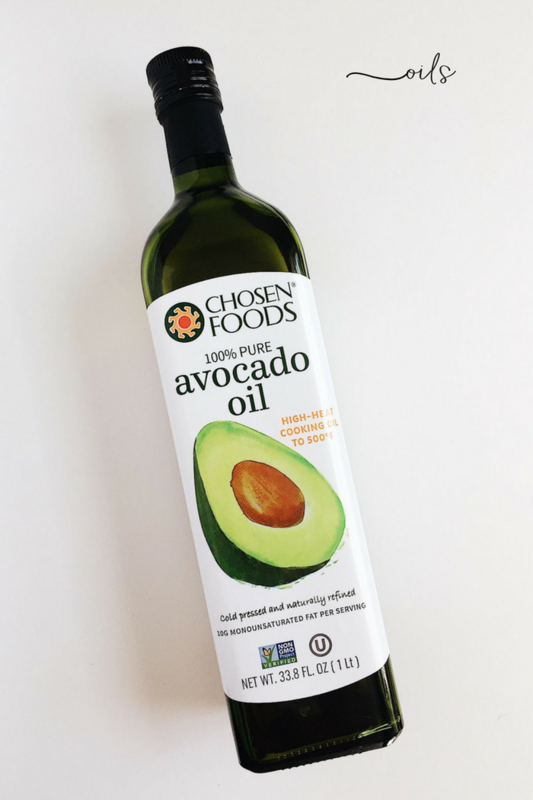 Chosen Foods 100% Pure Handcrafted Avocado Oil: I love this oil so much that I buy the big bottle at Costco (which is a great price, by the way!). It has a very high smoke point which makes it an excellent choice for cooking. Nutiva Organic Virgin Coconut Oil: I know there’s quite a bit of conspiracy floating around the Internet right now about coconut oil, but I still love the stuff and I use it very sparingly anyway. This is a brand I always have in my pantry along with Artisana Organics. La Tourangelle Roasted Walnut Oil: Walnut oil, rich in antioxidants and omega-3 fatty acids, is great for drizzling on a simple salad or some grilled vegetables. California Olive Ranch Extra Virgin Olive Oil: Of course, my go-to always for dressings and roasting vegetables. I like this brand, which is affordable, made in the US (California), and easily found at most grocery stores. Spectrum Naturals Organic Unrefined Sesame Oil: The Whole30 states to use sesame oil in moderation. I never cook with sesame oil, but I love to drizzle it on cauliflower fried rice, stir-fries, or use it to make a tasty Sesame Ginger dressing. Bone broth is versatile, delicious, and chock full o’ protein. 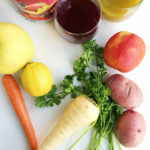 You can warm a cup of it and sip it as-is, but it also makes the perfect addition to soups, stews, chili, sauces, compliant gravy, and even gazpacho. 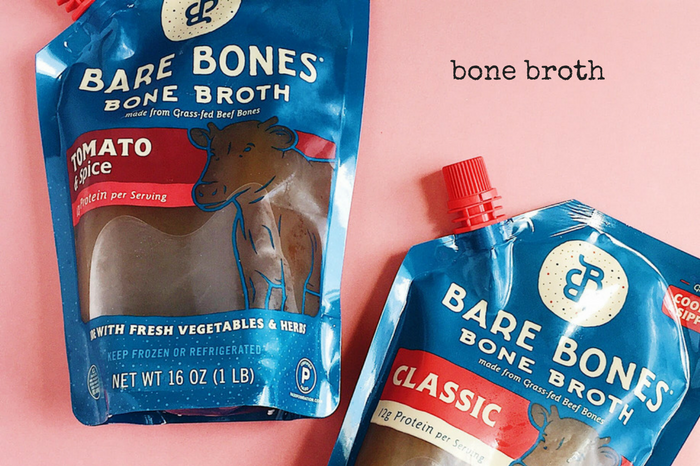 Bare Bones Bone Broth: Bare bones is my favorite brand, and probably the only one you’ll ever need. 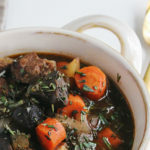 They make beef, chicken, and turkey bone broth in classic flavors or some tasty versions such as Rosemary Lemon and Tomato Spice. One of the best parts about this organic bone broth is that it comes in convenient, eco-friendly, ready-to-sip pouches! Order them on Amazon (linked above), their website, or use the store finder to check out where they’re sold near you. Many grocery stores (both chain and smaller natural markets) in my town carry them, which is awesome. 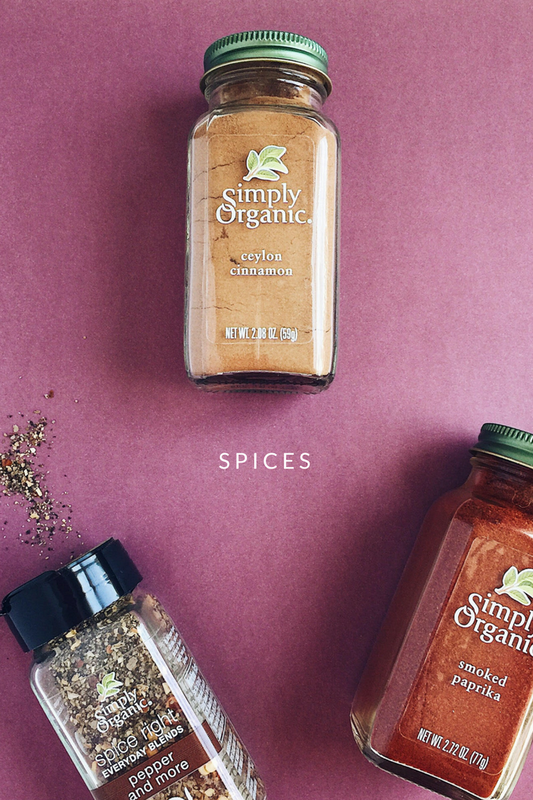 Spices add a ton of flavor to any dish and can definitely give a little oomph to your Whole30! When it comes to spices, always read the labels as you’ll be surprised how many have sugar in there (especially spice blends). Simply Organic Turmeric Root Ground Certified Organic: Turmeric is so awesome for you, as we know. Read more about the health benefits of turmeric and how to make a turmeric tea latte here, or make a detox broth with turmeric and ginger. Simply Organic Garlic ‘n Herb Certified Organic: This is an all-purpose, compliant savory spice blend that can be used on just about anything—made with sesame seeds, pepper, garlic, onion, lemon peel, and parsley. Simply Organic Ground Ceylon Cinnamon: This stuff is just magical sprinkled on nut butter or apples. Yum. Simply Organic Smoked Paprika: Why use regular paprika when there’s smoked paprika?! This amazing spice is perfect in vegetarian and egg dishes, grilled meats, and chili. Simply Organic Spice Right Pepper and More: Delicious and spicy! Perfect for giving an extra kick to eggs, veggies, or your favorite (taco-less) taco. Paleo Powder: This pepper-forward, savory compliant spice blend is a favorite for sprinkling on eggs or meats. Primal Palate Spice Sets: Primal Palate makes a ton of compliant spice blends, such as their Signature Blend Set (linked above; Adobo Seasoning, BBQ Rub, and Meat and Potatoes Seasoning), Griddle and Grill Set (Taco Seasoning, Seafood Seasoning, Steak Seasoning), and Everyday AIP Blend (Garlic and Herb, Super Gyro, and Breakfast Blend). I love to relax and end my night with a cup of tea. However, many of them definitely include added sugar. Here’s a few of my favorite compliant finds. Choice Organic Caffeine Free Lemon Lavender Mint Herbal Tea: My favorite nighttime tea, this relaxing tea and addition of lavender aids in calming and sleep. Choice Organic Fair Trade Caffeine Free Rooibos Red Bush Tea: I love Rooibos tea, especially this organic, fair-trade version. Yogi Organic Super Antioxidant Green Tea: This antioxidant-rich, free radical-fighting green tea is pleasantly floral and scented with lemongrass, citrus, and jasmine. Rishi Tangerine Ginger and Rishi Turmeric Ginger: I’m a big fan of Rishi’s loose-leaf teas, especially these two ginger versions, perfect for post-meal digestion. Davidson’s Tea Matcha Green Powder: A go-to ‘treat’ drink for me on the Whole30 is a coconut milk matcha tea latte. I love this certified organic version from Davidson’s Tea. It’s very difficult to find compliant protein powders, as most are made with whey, casein, soy, pea, or other banned ingredients. I have started using collagen in my smoothies and I really dig it. Collagen is great for digestive and joint health in addition to working wonders for your hair, skin, and nails. 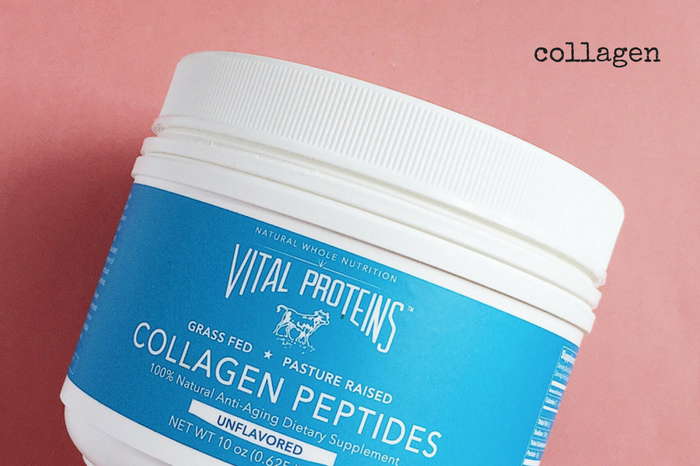 Vital Proteins Pasture-Raised, Grass-Fed Collagen Peptides: There’s a lot of collagen brands available, so find a compliant one that you like in your budget. I’m only going to list this Vital Proteins one, though, because it’s the only one I use or have experience using, and I love it. 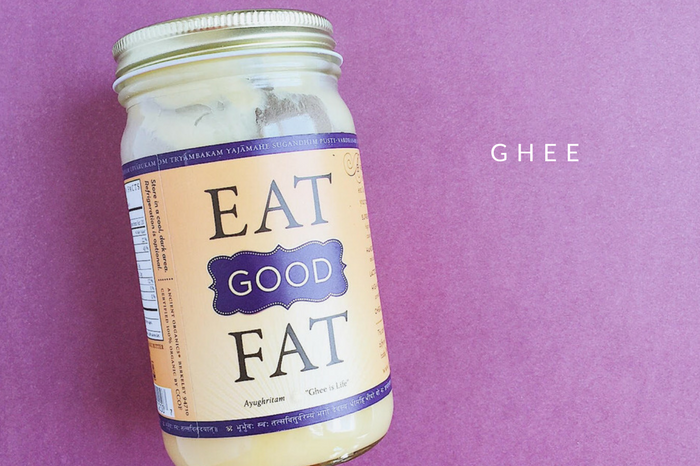 Butter is a no-go on the Whole30, but ghee is a compliant (and delicious) alternative. While you can make your own ghee, I admit that I definitely do not. Here’s my store-bought picks. Ancient Organics 100% Organic Ghee from Grass-Fed Cows: Personally, this is probably my favorite brand of ghee because the taste is not as strong as many other brands, which I really like. But of course it just comes down to preference. I’ll include my other two favorites below. 4th and Heart Himalayan Pink Salt Grass-Fed Ghee Butter: Another amazing ghee, this one includes mineral-rich pink Himalayan sea salt. Tin Star Organic 100% Grassfed Ghee: And another delicious grass-fed ghee from a great brand. Salads, lettuce wraps, burgers, or soups. You can’t go wrong with convenient canned seafood, but choosing quality options is key. Wild Planet Pink Salmon: Wild Planet is a great brand, and I dig their sustainably-caught Alaskan pink salmon. Wild Planet Albacore Tuna: This wild tuna is an absolute winner. Just sustainably-caught tuna, Omega-3s, and a touch of sea salt. 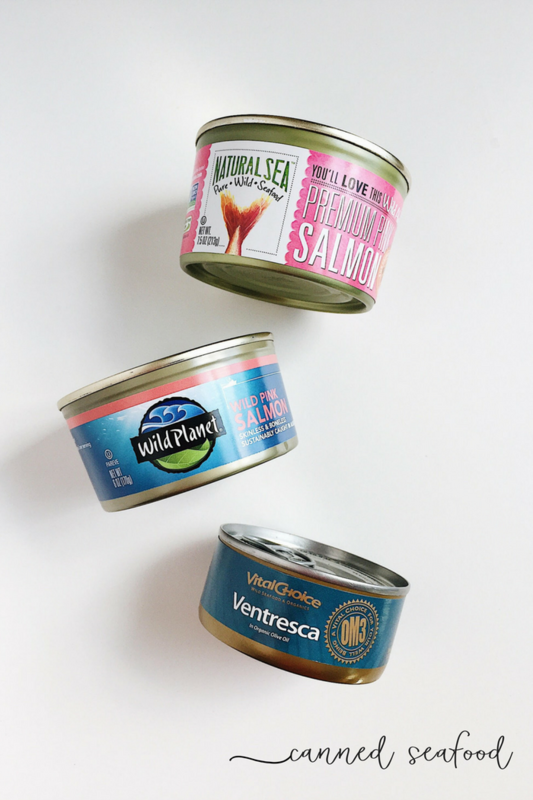 Vital Choice Ventresca: Vital Choice is another great option for sustainable canned seafood, including ventresca (tuna belly), sardines, salmon, and more. Natural Sea Premium Pink Salmon: Another delicious, sustainable, and wild brand that offers plenty of no added salt options. 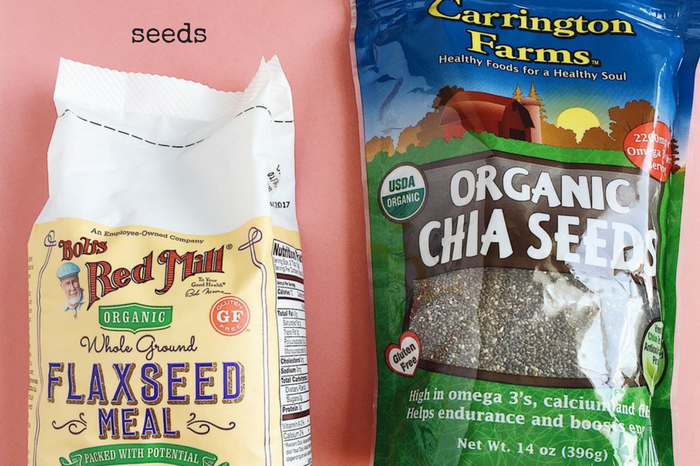 Seeds are a delicious way to add nutrients, fiber, healthy fats, and a bit of crunch to your Whole30 repertoire. Carrington Farms Organic Chia Seeds: Chia seed pudding, be still my heart. Make a tasty, compliant breakfast by mixing chia seeds with coconut milk, vanilla bean, and cinnamon before topping with fresh banana. Bob’s Red Mill Organic Whole Ground Flaxseed Meal: I’m a huge fan of flax. I love using this ground version from Bob’s Red Mill in smoothies, sprinkled on fruit, or in homemade fruit and nut bars. Carrington Farms Flax Chia Blend: For the best of both worlds, this ready-to-eat organic cold-milled flax and chia blend is affordable and quite tasty. Terrasoul Superfoods Organic Pumpkin Seeds: Pepitas are delicious for adding in salads, topping soups, or making a compliant DIY trail mix. Rodelle Toasted Natural Sesame Seeds: I love these sesame seeds from Rodelle, perfect for topping stir-fries or making sesame chicken. I probably could have put jerky under On-the-Go Snacks, but I think it deserves its own category. Jerky is definitely a favorite amongst Whole30ers for providing a pack of protein or a healthy in-between-meals snack. Epic Bites Bison Bacon and Chia: The ingredients of these tasty jerky bites are just bison, bacon, chia seeds, spices, and golden raisins. Epic Jerky Bites Sampler: To sample a few of Epic’s flavors, this variety pack comes with bison, bacon, beef, and chicken, all of which are Whole30 compliant. Wild Zora BBQ 100% Grass-Fed Beef & Organic Veggie Bars: Wild Zora is another great brand that offers jerky made without added sugar. This grass-fed beef version is sweetened with dates and apricots and gets a kick from chipotle and ancho chiles. Chomps 100% Grass Fed Beef Snack Jerky Sticks: This Whole30-compliant variety pack of jerky sticks has three flavors ready for chompin’: Original, Hoppin Jalapeno, and Crankin Cran. Oh, Larabars. You convenient, beautiful bar, you! While there are compliant fruit/nut/seed bars, still be sure to read your labels. Larabar and RXBar, for example, make several compliant and several non-compliant choices. Here’s my favorite healthy rule-abiding bars. 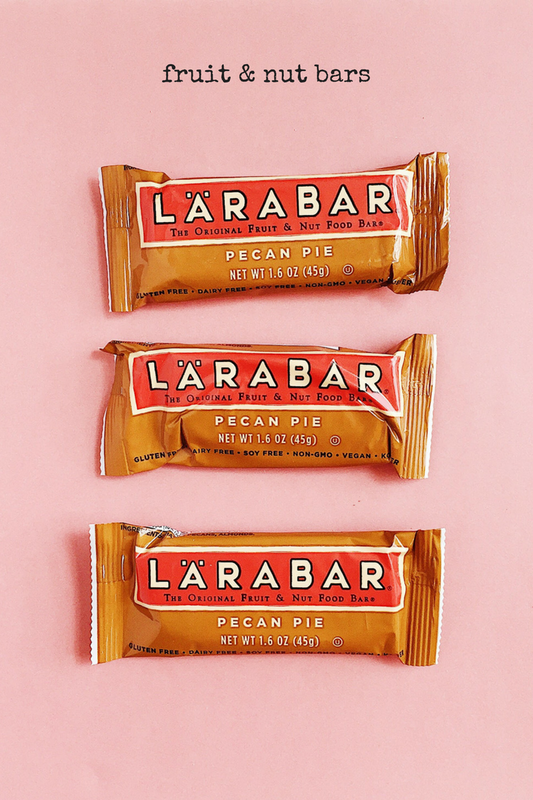 Larabar Pecan Pie: Made from just dates, pecans, and almonds, these are hands down my favorite Larabar. So delicious that you’d pretty much mistake them for a dessert. Larabar Key Lime Pie: Another delicious compliant bar with a tropical twist. RXBar Blueberry Protein Bar: RXBar makes a few compliant bars, such as this fruity blueberry version. The bars have 12g of protein due to the addition of egg whites. 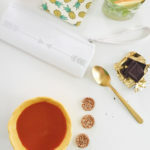 Pressed by KIND Fruit Bar Pineapple Coconut Chia: This no-sugar-added KIND bar variety offers some compliant options, such as this tropical fruit bar that’s made from pineapple, apple, coconut, and chia seeds. For anyone finding it difficult to not eat a sandwich, coconut wraps are a tasty and compliant alternative for satisfying lunches. 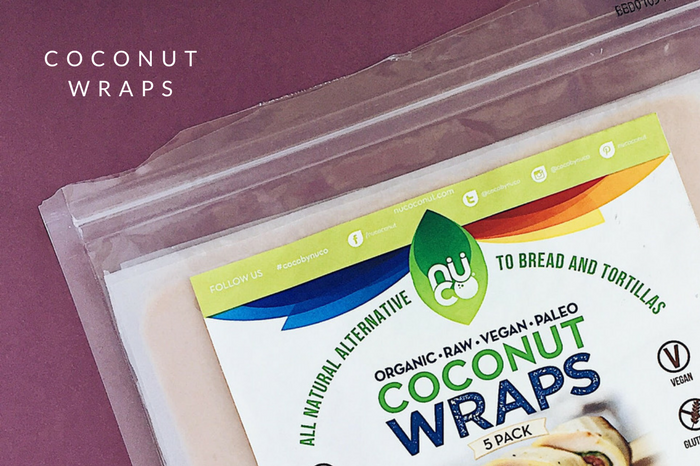 NUCO Certified Organic Paleo Gluten Free Vegan Coconut Wraps: These wraps are made with coconut in three different forms: organic extra virgin coconut oil, organic coconut water, and organic coconut meat. They hold their shape pretty well, wrap easily, and although they do have a coconut flavor, it’s not overpowering. Kombucha, how I love thee. When it comes to this fermented beverage, check your labels. Make sure sugar or honey isn’t added to the kombucha. If it’s used in the fermentation process (or included in parenthesis like this), you’re good to go. 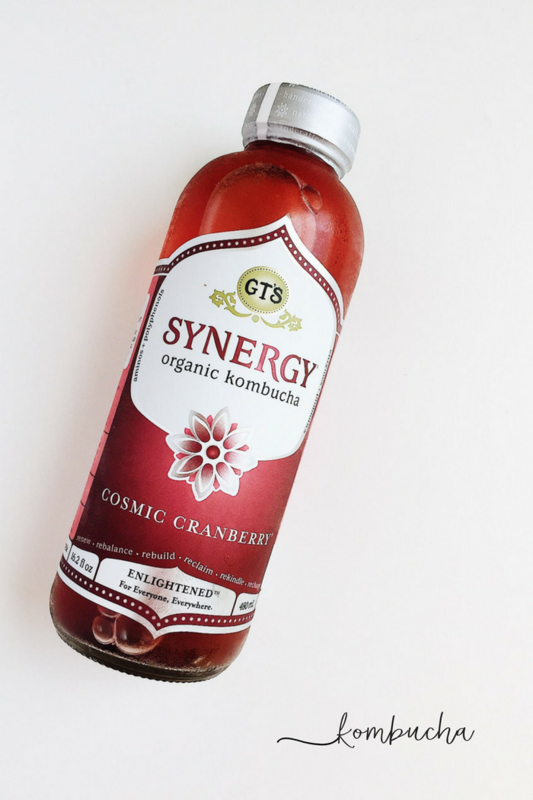 GT’S Organic Raw Kombucha Gingerade: All of GT’s kombuchas are compliant (at least, as far as I’ve seen), and they’re one of my favorite brands. They have tons of different flavors, including ginger, lavender, hibiscus, guava, and mango. No, you can’t use these flours to make desserts (not even if they’re ‘paleo’). But you can use them to thicken sauces or soups, to ‘bread’ chicken or fish, or to replace the breadcrumbs in your mom’s meatballs. Bob’s Red Mill Super-Fine Gluten Free Almond Flour: This super-fine almond flour is indeed super fine. It tastes amazing and includes lots of vitamin E and dietary fiber. 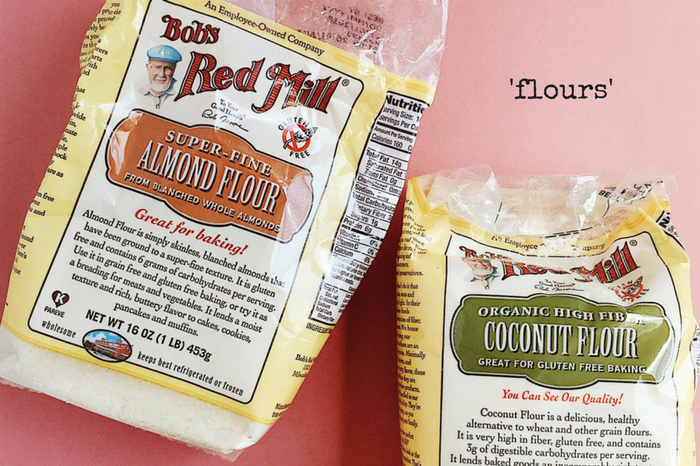 Bob’s Red Mill Organic Coconut Flour: Another high-fiber flour choice. Did someone say coconut chicken tenders? Anthony’s Certified Gluten-Free & Non-GMO Organic Tapioca Flour: This tapioca flour has a very neutral taste, great for thickening soups, breading meats, and incorporating into savory dishes. Fatworks Duck Fat: Fatworks makes a few premium cooking fats, including duck fat, chicken fat, ghee, beef tallow, and pork lard. Navitas Organics Raw Cacao Powder: My favorite brand of raw cocao powder, it’s affordable and easily found at grocery stores. La Croix Sparkling Water: La Croix is amazing anytime, Whole30 or not. Hint Water Variety 12-Pack: For a non-sparkling water with a little extra something, Hint makes delicious water all made from non-GMO fruit. 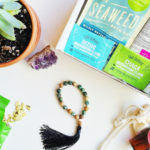 SeaSnax Roasted Seaweed Grab and Go Snacks: Tasty little snacks that have only three ingredients: organic seaweed, organic extra virgin olive oil, and sea salt. Vegan Coconut Jerky Sampler Pack: If all the meaty options in the Jerky section above weren’t exactly your thing, this vegan coconut jerky is compliant and comes in Original, Teriyaki, and Chili Lime flavors. 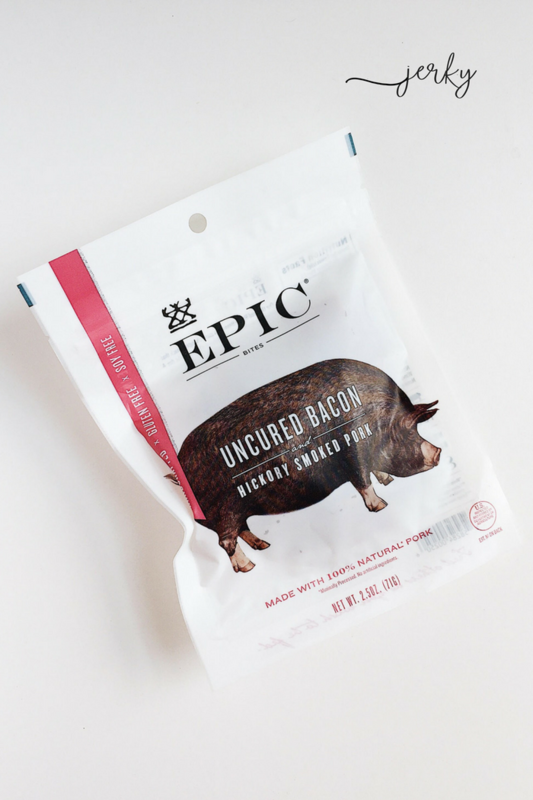 Epic Uncured Hickory Bacon Bits: It is very hard to find compliant bacon, but these bacon bits are sugar-free, high in protein, and ready for topping your salads. Natural Vitality Natural Calm: This “anti-stress drink” is perfect for taking a time-out and made from magnesium. Organico Organic Pitted Green Olives in Brine & Herbs: Olives are definitely your friend (well, if you like them, I guess) when it comes to the Whole30. Keep them around for easy snacking and for livening up salads. Muir Glen Organic Whole Peeled Tomato: I love Muir Glen’s organic whole tomatoes and their fire-roasted versions. I use both regularly during the Whole30 for making sauces to top meatballs, chicken Cacciatore, chili, or shakshuka. Thai Kitchen Organic Coconut Milk: Coconut milk is a Whole30 must, and Thai Kitchen’s organic version is the bee’s knees. The Whole30: The 30-Day Guide to Total Health and Food Freedom: This book includes tons of information on the Whole30 including many tasty recipes (I’ve made quite a few!). Whole30 shares a few more compliant companies here. 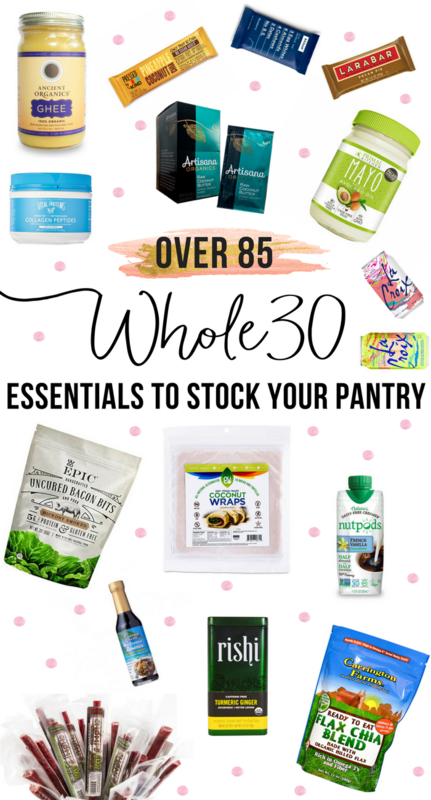 I hope that you’ve enjoyed this post on Over 85 Store-Bought Whole30 Essentials to Stock Your Pantry! Do you have any Whole30 must-haves that I should add to the list? Let me know in the comments below, and best of luck on your Whole30! Thank you for turning me on to Saucy Lips! I have been looking for cleaner condiments without soy and that pineapple Thai sauce sounds like a must have. So I’ll just favorite this page, and boom, shopping list for the next month! These are really great recommendations though, and there are plenty of things I haven’t tried on this list. Also things I haven’t heard of, so this is a wonderful insight in to what’s out there. Thanks so much for the helpful info!